A new congressionally-mandated report says NASA should refine its strategy and improve its tools to foster the study of exoplanetary systems and expedite the search for alien life. The new consensus study report, authored by the National Academies of Sciences, Engineering and Medicine, highlights several strategic priorities that, if implemented, will go a long way in ensuring that scientists have the resources they need to study exoplanets (planets in orbit around other stars). It’s called the Exoplanet Science Strategy, and it identifies specific research priorities while making recommendations on how NASA should invest its efforts. 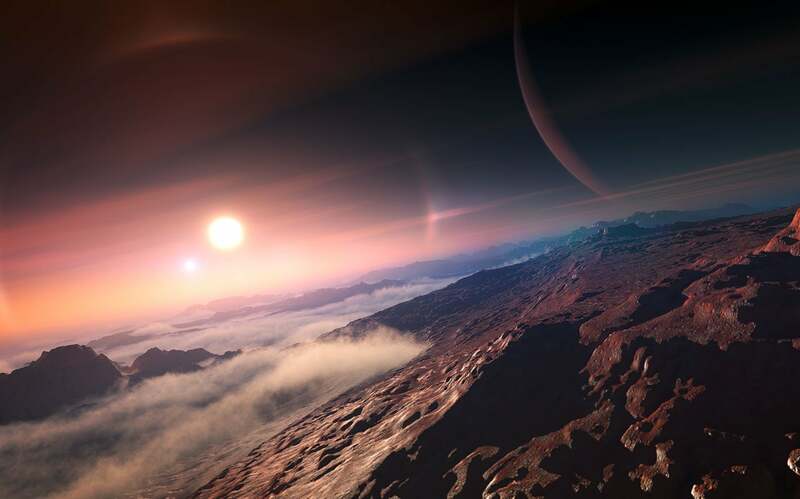 “Over the past decade, exoplanet science has yielded many remarkable discoveries, from the direct imaging of young gas-giant exoplanets to the detection of molecules and clouds within the atmospheres of more than a hundred worlds,” write the authors in the new report. Indeed, we’ve made a lot of progress in this area, but some key questions remain, such as whether our type of solar system is common or rare, how terrestrial planets form, and the factors that give rise to habitability. And of course, we still don’t know if life exists elsewhere in the Milky Way galaxy. The new report is a kind of nudge to get NASA on track as the National Academies looks ahead to the next 10 years of exoplanetary research. 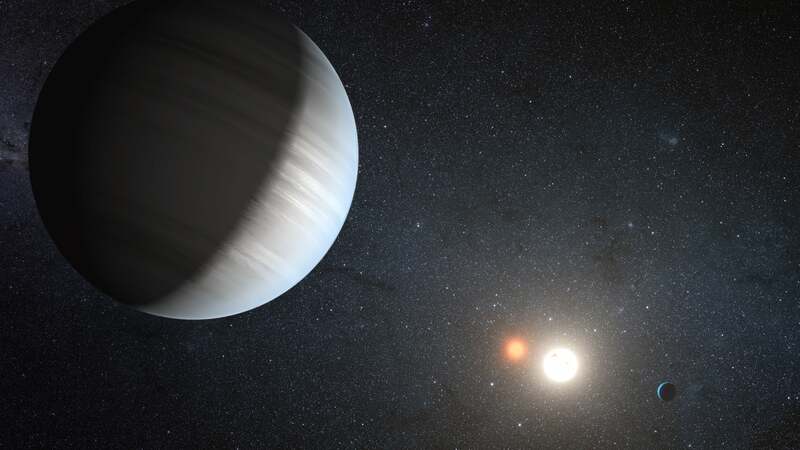 At the broadest level, the report offers two overarching goals for exoplanetary scientists. First, astronomers and astrobiologists need to acquire an improved understanding of how planetary systems form and evolve, including better descriptions of planetary system architectures, compositions and environments. Second, they need to learn enough about exoplanets to make informed predictions about habitability, and to make meaningful searches of alien life in distant star systems. To that end, the researchers are recommending a “holistic” approach to the study of exoplanets and their environments, such as surveying a wide variety of planet types (including protoplanetary disks, baby planets, and star systems at the end of their lives), and finding ways to determine the mass, size, atmospheric compositions and chemistry of distant worlds. These analyses should be done on as many exoplanets as possible, and on star systems featuring varying orbital parameters and host star types, the authors recommend. OK, cool. But researchers need the right tools to be able to perform this sort of work. And in that sense, NASA, and the astronomers who use its tools, have hit a sort of dead end. The Kepler Space Telescope, for example, is running out of fuel, the mission all but over. Looking ahead to the next 10 years or more of astronomical discovery, the authors are asking NASA to develop an advanced space telescope to enable direct imaging of distant exoplanets, with a particular focus on detecting Earth-like planets in orbit around stars similar to our Sun. In addition, NASA should invest in ground-based astronomy, the report says. Two future observatories, the Giant Magellan telescope (GMT) and the Thirty Meter Telescope (TMT), will offer advances in the imaging and spectroscopy (measuring the absorption and emission of light) of entire planetary systems. These observatories will also be able to detect molecules, such as oxygen, within the atmospheres of far away planets. 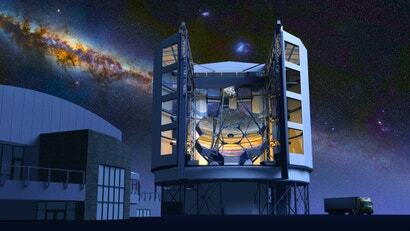 The GMT is currently under construction, but the TMT has yet to be approved. But these ground-based telescopes require funding, so the authors of the new report have flagged the National Science Foundation as the US government agency best suited for this task. The National Academies would like the NSF to make significant investments in both the GMT and TMT telescope, and to fund the development of add-on devices to enable specific exoplanet-hunting capabilities. NSF investments should also work to provide “all-sky access to the US research community”. The authors also want NASA to make the Wide Field Infrared Survey Telescope (WFIRST) available to astronomers for the purpose of studying exoplanets. This telescope is just about ready for prime time, and once in space, it could be used to survey much more distant planets than Kepler ever could. WFIRST will allow for a more thorough census of exoplanets, and provide direct images and spectra of planets around distant stars. The National Academies report also asks NASA to make the Transiting Exoplanet Survey Satellite (TESS) and the yet-to-be-launched James Webb Space Telescope (JWST) available to a diverse group of researchers, who could then systematically collect data on exoplanets and, in the case of the JWST, survey their atmospheres. “The identification of life on an exoplanet will not be accomplished by a single team of researchers or a single method,” write the authors. NASA will likely receive this congressionally mandated report with great delight. The National Academies of Sciences, Engineering and Medicine exists to provide independent and objective analysis and advice. Armed with these recommendations, NASA can now take this report to Congress and ask for sufficient funding. Should NASA and Congress abide by these recommendations, the next 10 years should bear witness to some extraordinary astronomical and astrobiological discoveries.